WASHINGTON -- Several civil rights organizations are applauding the NBA for its lifetime ban of Clippers owner Donald Sterling because of racist comments the league says he made in a recorded conversation. However, those groups still want to meet with NBA commissioner Adam Silver to discuss diversity in the executive ranks of the professional basketball league and to figure out ways to ensure such situations don't happen again. The National Urban League, the National Action Network, the NAACP and the National Coalition on Black Civic Participation issued a joint statement cheering Silver's announcement that he banned Sterling for life and that the league would attempt to force him to sell the Clippers. That decision, the statement said, was "a bold, courageous and resolute message that the views expressed by Sterling do not represent the National Basketball Association as an organization today or the kind of organization that it seeks to be in the future." But Sterling's suspension isn't enough, the groups said, calling for Silver to meet with them to ensure Sterling "remains an anomaly among the owners and executives in the league." "Sterling's long-established pattern of bigotry and racist comments have not been a secret in the NBA," the statement said. "Yet until now, they have been tolerated and met with a gentle hand and a blind eye." The groups want Silver to talk with them about diversifying the executive ranks of the NBA, similar to efforts in other sports. "Our goal is for Commissioner Silver to extend these efforts beyond a reactive approach to one egregious situation to a proactive approach that will allow him to set forth and enforce clear policies and codes of conduct that reflect the best of the NBA, as well as foster a league culture that is as inclusive in practice -- at all levels -- as it is diverse in players and fan base," they said. Sterling's comments were released over the weekend by TMZ and Deadspin, and the fallout has been swift: current and former NBA players have publicly denounced Sterling, the NAACP is returning donations he has made and canceled a planned award ceremony next month and sponsors have fled. It's not the first time a professional sports owner has been punished for controversial remarks. Major League Baseball suspended former Cincinnati Reds owner Marge Schott and fined her for bringing "disrepute and embarrassment" to baseball with her repeated use of racial and ethnic slurs. 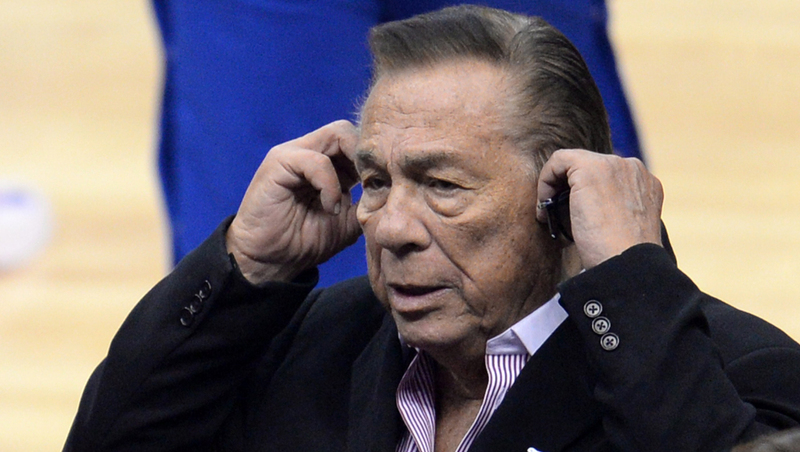 Will the NBA be able to force Sterling to sell the Clippers? Schott was only forced to sell "after years of pressure from baseball and fellow owners, and only after General Motors accused her of falsifying car sales with the names of team employees at a Chevrolet dealership she had since sold. Even then, Schott reaped the financial benefit of the sale and retained one ownership share as well as 21 box seats and a luxury suite," Berger wrote. Before Silver's announcement, the NAACP's Los Angeles chapter withdrew its decision to give Sterling a lifetime achievement award, and returned money he donated. Sterling, 80, had been scheduled to receive the honor on May 15 as part of the 100th anniversary celebration of the Los Angeles branch of the nation's oldest civil rights organization. He had been chosen to receive the award because of his long history of donating to minority charities and giving game tickets to inner city children. The NAACP has honored Sterling several times in the past. The national NAACP announced Tuesday that it would have its chapters review their criteria for how honors are given. "We will be developing guidelines for our units to help them in their award selection process and prevent unfortunate decisions like this from occurring in the future," the organization said.